I was in the mood for some Neo Classic Space goodness this morning, luckily Horcik Designs was there to hook me up. 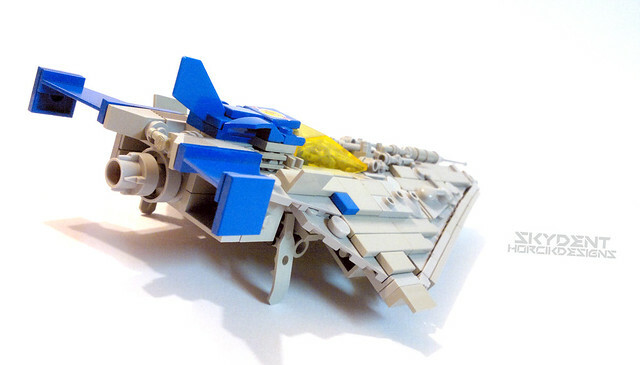 This fighter has a pretty nice balance of greebles and classic inspiration. It sorta reminds me of a Jedi Starfighter (one of the few prequel ships I actually like) with a taste of good old 497.